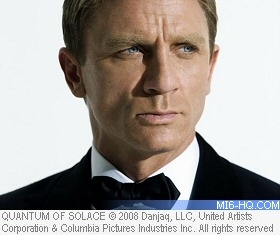 The 23rd James Bond film, AKA 'Bond 23', may have a working title if Daniel Craig's tease to CNN is to be believed. CNN correspondent Andrea Mineo wrote on her Twitter account: "I think I'm interviewing Daniel Craig shortly. Bond baby." An hour later, she updated followers: "So Daniel Craig just told me they are starting the next James Bond film and it's got a title but he wouldn't tell me it." Filming is expected to kick off at Pinewood Studios in November. Bond 23 will be released in the UK on 26th October 2012. Click here for complete coverage of the production on MI6. Thanks to `PanchitoPistoles ` for the scoop.